Suitable for installation at home, offices, living room or kitchen. 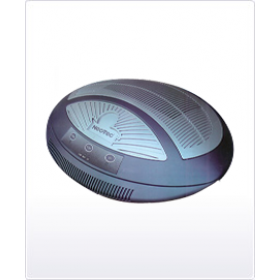 XJ-2200 is suitable for room with an area of 150-160 Sq. ft.
HEPA Filter highly-effective dust collection function. PRE filter with excellent dust collection rate up to 99.97%. Ionic and activated oxygen eliminate nicotine smell and unpleasant odor. Fumes and very minute problems in the air. Three levels of wind speed setting. All electronic circuit design, save power and energy. One of the special features of this machine lies in the advanced 5-stage filter system, which comprise of High-Performance HEPA Filter, Activated Carbon Filter, UV Lamp, TiO2 Filter and Negative Ions. High-Performance HEPA Filter- A must have technology for those suffering from allergies and asthma, effective in eliminate harmful airborne particles as small as 0.3 microns including dust, pollen, bacteria, viruses as well as other harmful airborne germs and pollutants efficiency up to 99.97%. Activated Carbon Filter -Specializes in capturing and neutralizing chemicals, gases, odors and cigarette smoke, which the Hepa filter cannot capture. The most effective filters for absorbing odors, toxic gases and hazardous chemical fumes including cigarette smoke and everything from paint fumes and toilet odors to poison gases..
UV Lamp - Germicidal UV lamp Kills micro organisms, bacteria, virus and other pollutants. At the same time it prevents the reproduction of micro organisms collected by the HEPA Filter. TiO2 Filter - Effectively reduce the growth of harmful micro organisms, household fungi, bacteria, viruses, dust mites and a variety of odours. Negative Ions - Negative ions help to clean and refresh the air. The release of negative ions creates atmosphere similar to naturally occurring environments. 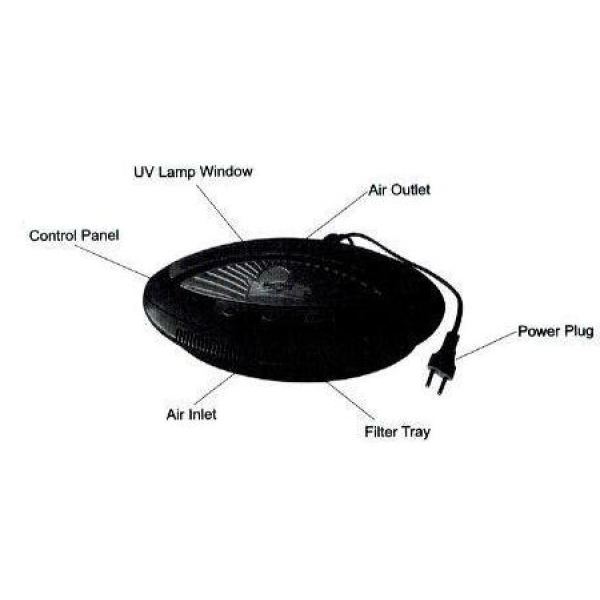 Effectively removes particulate from the air, such as allergens (including mould and dust mites), fine dust particles, bacteria, viruses, chemical fumes and other ultra-fine particles that a filter cannot capture. Increase the effectiveness of the Hepa and activated carbon filter system by causing particles to magnetically attract together, resulting in larger particles that are easier for the filter to capture. Disinfects viruses and bacteria trapped in the filtration bank of the XJ-2200 that would normally reproduce in the typical filter. Has the ability to remove airborne particles away from the air purifier, in areas of the room where the filter has little effect. This is due to the fact that ions can circulate throughout a room. Negative ion circulation is enhanced as a result of the fan. Hepa filter removes 99.97% of particles (0.3 microns in size) that pass through the filter, preventing them from becoming recirculated into the air. Largely considered the most effective type of air filter against allergens, dust and other solid particles. Captures a high volume of floating dust and other particles, including many of the ionized particles that would otherwise just settle to the ground if a typical ionizer were used. Germicidal UV light is scientifically proven to destroy a large variety of microbial contaminates, such as viruses, germs, bacteria and fungi (including mould). UV light has been used for years by the medical field (including hospitals) to sanitize rooms and equipment, in order to prevent the spread of illness and disease. 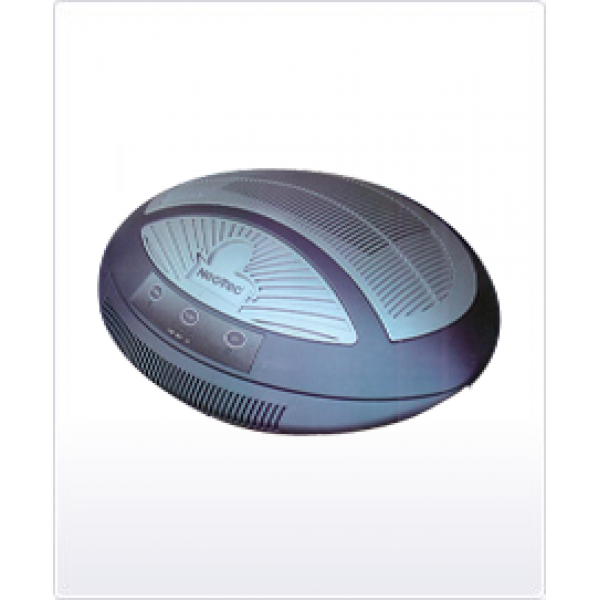 Activated Carbon Air Filter specializes in capturing and neutralizing chemicals, gases, odors and cigarette smoke, which the Hepa filter cannot capture. Photo-catalytic Oxidation effectively removes a variety of pollutants, including VOCs (Volatile Organic Compounds), odors and bacteria. Photo-catalytic Oxidation is achieved when UV rays come into contact with the TiO² coating on the inside of the unit. This creates superoxide ions, which are powerful purifiers.